Wouldn’t it be great to not feel guilty while you’re putting yourself into a “turkey coma” tomorrow? 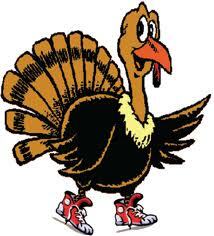 Head over to the Nachand Fieldhouse on Court Avenue between 8-10am Thanksgiving Day and get your metabolism going with some Zumba Fitness! Admission is free with the donation of 2 or more canned goods or a new toy. Click here to see the flyer for more information.